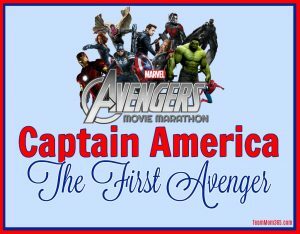 We are going to start our Marvel cinematic journey with Captain America: The First Avenger. I know. I know. It seems weird to put Captain America’s first movie first on our viewing list since it is really the fourth movie released in the modern day Marvel Cinematic Universe. However, this movie is almost entirely a flashback to World War II. In the movie we get the origin story of Captain America and his alter-ego Steve Rogers. Some weeks we will include some accompanying viewing options. These might include Marvel Cinematic Universe TV show, Netflix series or even DVD one shots. This week’s accompanying viewing is Season 1 of Marvel’s Agent Carter television show. Each week we will attempt to find you the best option for viewing locations. *These viewing locations are only good for this date of publication. DVD and streaming options change constantly. For each movie we will have a discussion question. For this movie we want to know what you thought about the special effects making Steve Rogers (Chris Evans) appear so small at the beginning of the movie? Was it distracting? 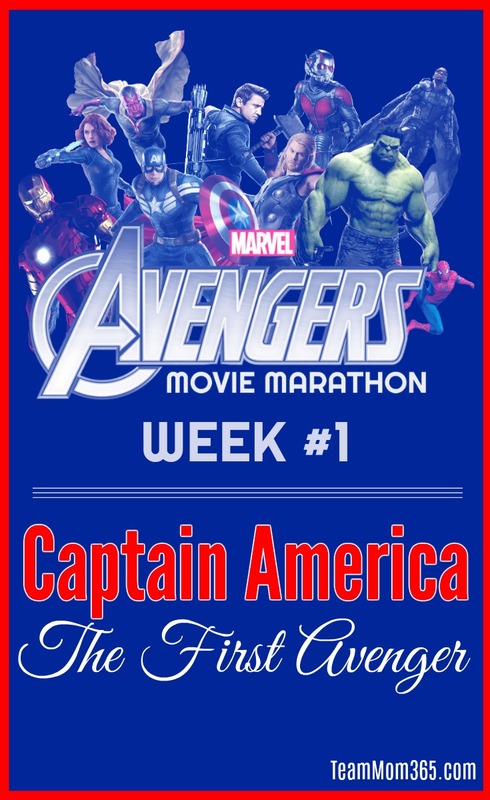 Let us know your thoughts in the comments below or on Twitter using the hashtag #MarvelMovieMarathon. Did you know the Marvel movies feature some really fun cameos? The most famous cameos are Stan Lee, the Godfather of Marvel. He appears in almost every Marvel movie as some random character from a drunk vet to being mistaken for Hugh Hefner or Larry King. Be on the lookout through the entire series.